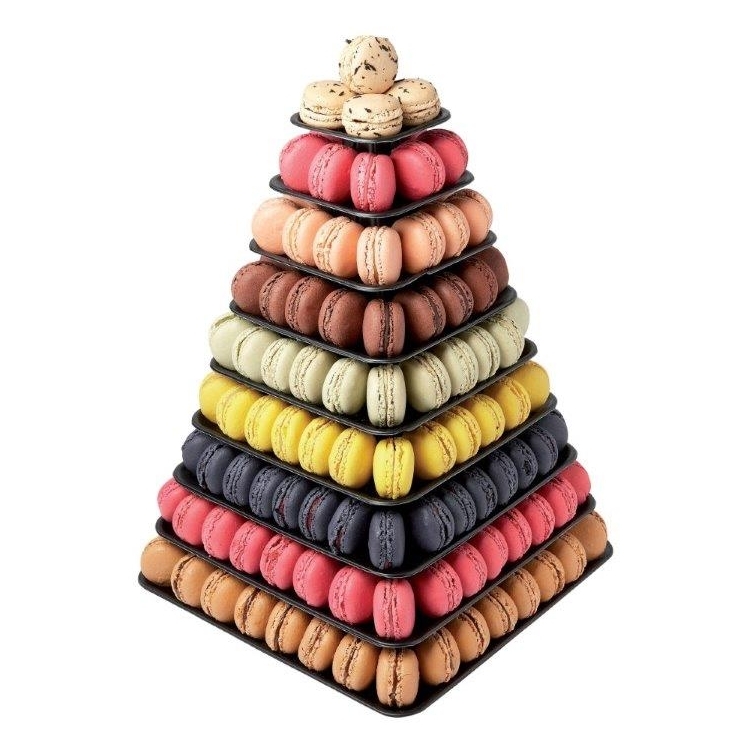 Pyramid of Macarons is an elegant display tower for displaying the classic French Macaron! Perfect for parties, events, wedding receptions and holiday banquets. 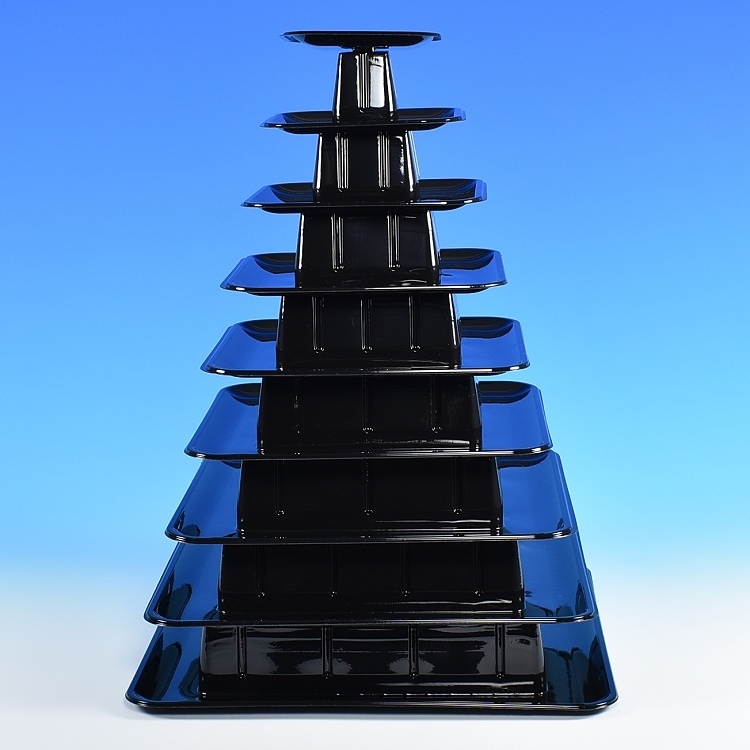 The tiered Display Tower can be configured to fit the requirements of every event. 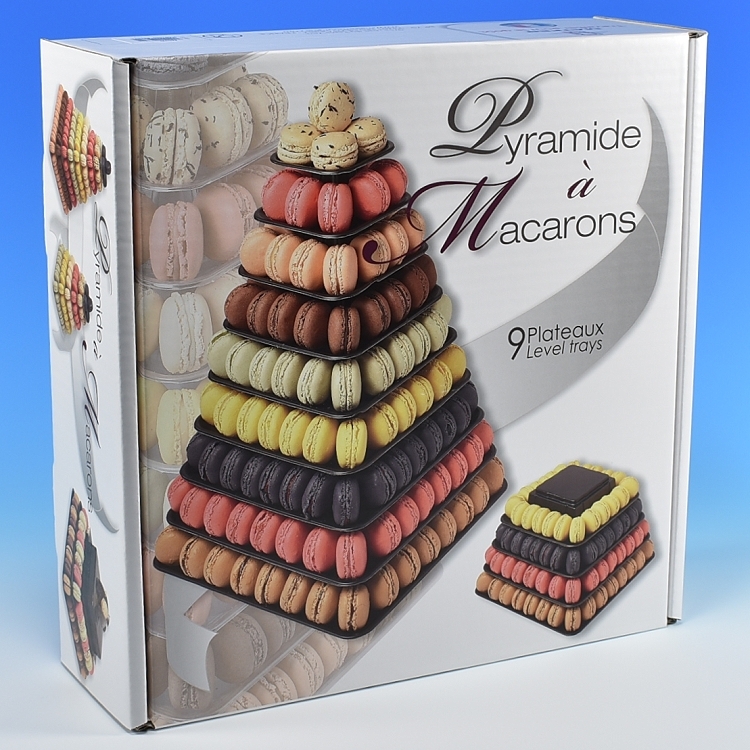 Can be assembled simply with 1 level, up to a total of 9 levels, for a maximum of 210 macarons. 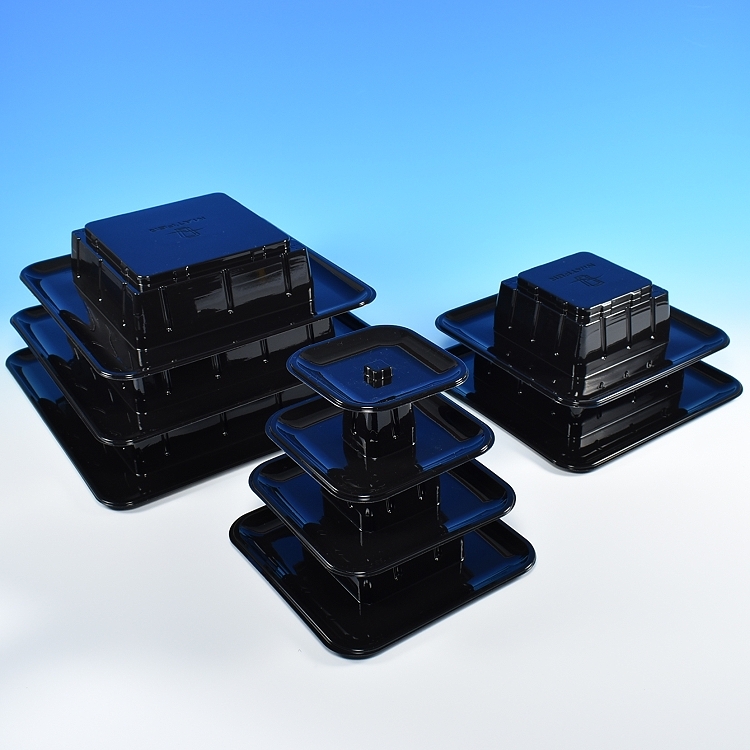 • 9 individual stackable plastic levels. • Overall height using all 9 levels is 17" tall. • Separation distance between each level is 2". • Macaron cookie diameter 1 7/8" maximum. • Made of light weight molded plastic. Black color. • Bottom diameter 11 3/4" x 11 3/4" square.